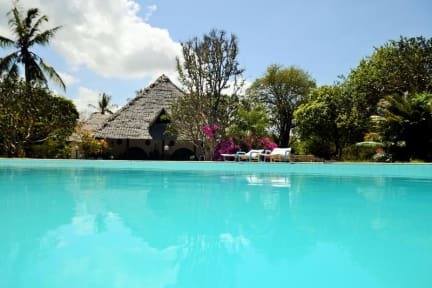 The kirathimo explorer’s oasis hostel is located a minute walk away from one of the world's most beautiful white sandy shores of the Indian Ocean, Diani Beach. The kirathimo hostel is a spacious and immaculate home for both families and enthusiastic travelers. It is beautifully furnished and well maintained with high security . The hostel offers five spacious private rooms, and one dormitory which accommodates 6 people . Its luxurious swimming pool overlooks the tropical garden.Enjoy magnificent meals from our outdoor dining room, with a a nice breathtaking pool view and its tropical garden. There is an in house bar with a BBQ grill by the pool side. Guests in the house who wish to prepare their own meals also get a chance to do so from our fully equipped kitchen. 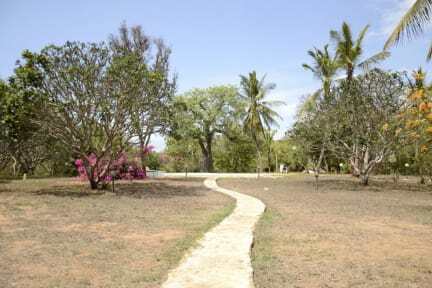 The hostel provides free WiFi service to the customers as well.The beach is just within its facility (100mtrs) walk through our nature garden ,giving you a chance to meet monkey's ,beautiful soothing songs from the birds all you would dream having during your stay in a hostel.